Sterling Holiday Resorts Limited is a pioneer in Vacation Ownership and a leading Leisure Hospitality company in India. Sterling Holidays was incorporated in 1986 with the vision of delivering Great Holiday experiences to Indian Families. To achieve this vision, the company pioneered Vacation Ownership in India and set about building a network of leisure resorts at some of the best holiday destinations in India. Currently, Sterling Holidays has a total inventory of 1763 rooms spread across a network of 27 resorts in 24 scenic holiday destinations in India. The company also has 15 additional sites where it plans to add new resorts in the coming years. All resorts in the Sterling Holidays network also have specially designed hotel blocks for the comfort and convenience of guests who prefer to vacation as a one-time hotel guest. With experience spanning over 25 years and expertise that successfully manages 27 resorts across India, Sterling Holidays now plans to expand the Leisure Hospitality industry in India and to set new benchmarks in the Vacation Ownership and Leisure Hospitality space. Bar, Exhibit Space, Laundry Facilities, Travel Counter, Disabled Facilities, Business Facilities, Porter Service Available, Backup Generator, Welcome Drinks, Audio-Visual Equipment. Complimentary Newspaper, Moisturiser, Ceiling Fan, Iron/Ironing Board, Bathrobes, Kitchenette, Makeup/Shaving Mirror, Safe In Room, Hair Dryer, Shoe Shine. Banquet Facilities, Business Facilities, Conference Hall, Doctor on Call, Laundry Facilities, Parking, Restaurant, Room Service, Secretarial Services, Bar. 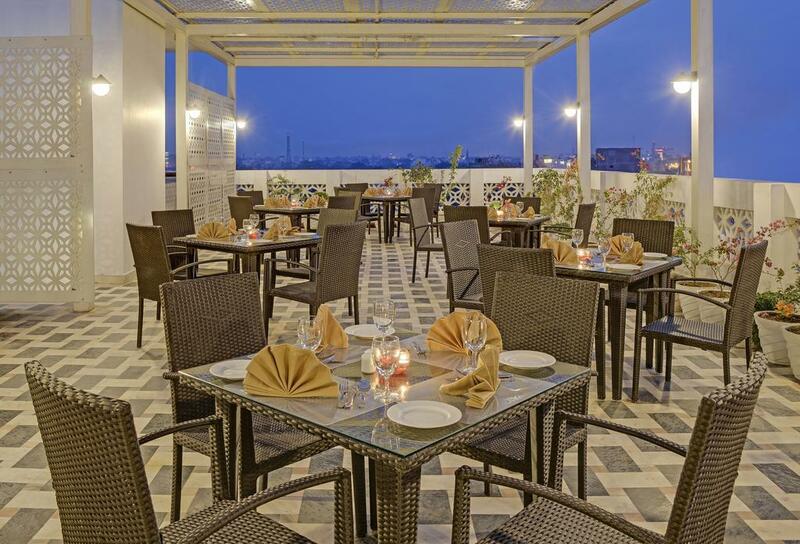 User reviews for "Regal Vista A Sterling Holidays Resort Agra"